The short story actually started with Chin at 40 years old, remembering her early days as a hostess as she watched all the young hostess at the club. 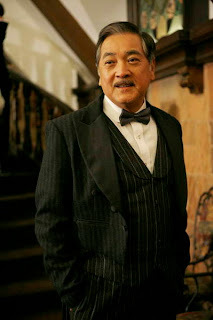 A group of young male students came into the club and called Madam Chin over. All of them started dancing with different hostesses, except for one shy young man who said he cannot dance. Madame Chin then told him that he must dance and she started dancing with him. The shy young man kept blushing, and it was this scenario that made Jin recall her first love Yue Ru and how they first met. Yue Ru was also very shy and dare not even look at Chin when he first danced with her. Yue Ru sent her home and that night they became lovers. After their first night together, Chin looked at Yue Ru’s body under the moonlight as he slept, which is the first time for her, as previously she detested all the men she slept with and closed her eyes throughout the night, refusing to look at them. Chin started to cry as she realize that a woman can also love a man’s body instead of thinking that it is detestable and ugly. 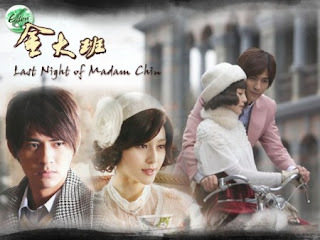 - The Last Night of Madam Chin is the 2nd drama produced by Fan Bing Bing's production company. Fan Bing Bing acts as both producer and lead actress. - Fan Bing Bing delayed production by 10 months for Vic's schedule to be free as she believe that there is no other actor suitable for the role of Yue Ru. 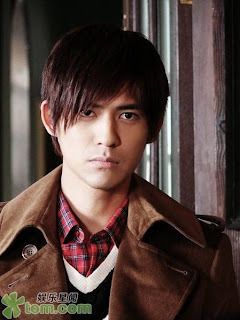 - Filming finally started in Shanghai on Dec 4, 2008 and Vic Zhou joined the cast on 19th Dec after completing Black & White. - Filming will move to Taiwan later. - This drama is one of the most expensive costume drama in China, costing RMB950,000 (NTD4 million) per episode. - The first press conference was held on Jan 14, 2009. - As of this date, the drama is still in progress and expects to finish by March. 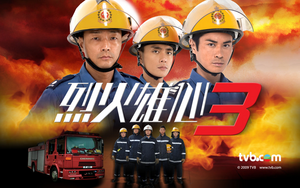 - There is a total of 32 episodes (TBC). Airdate has not been announced.